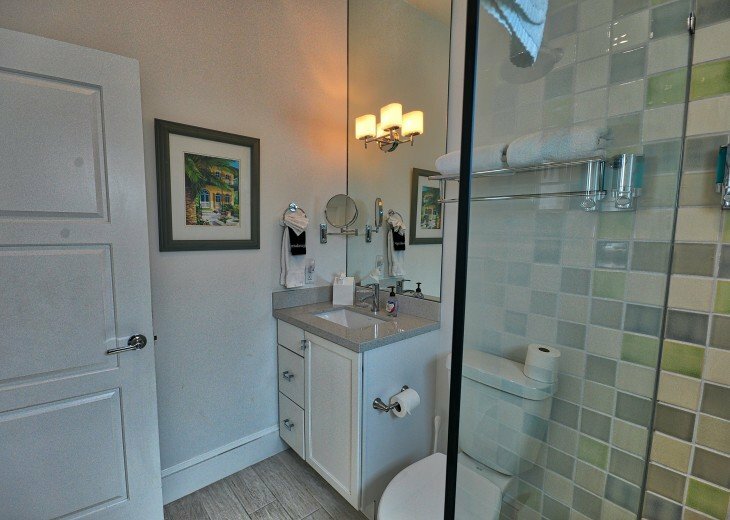 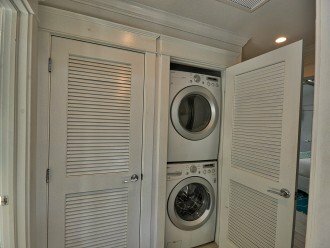 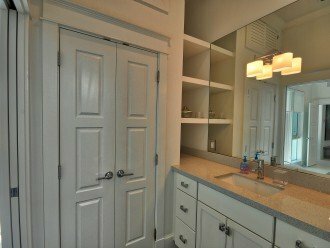 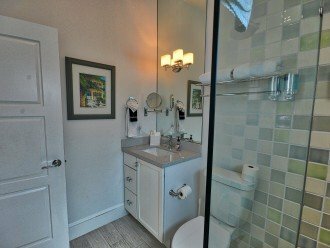 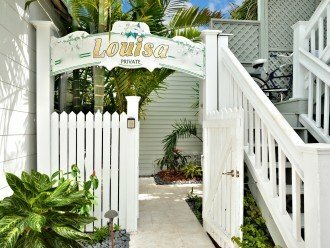 Tucked away near the quite end of Duval Street, you'll find this stylish, newly renovated, three bedroom, three bath home. 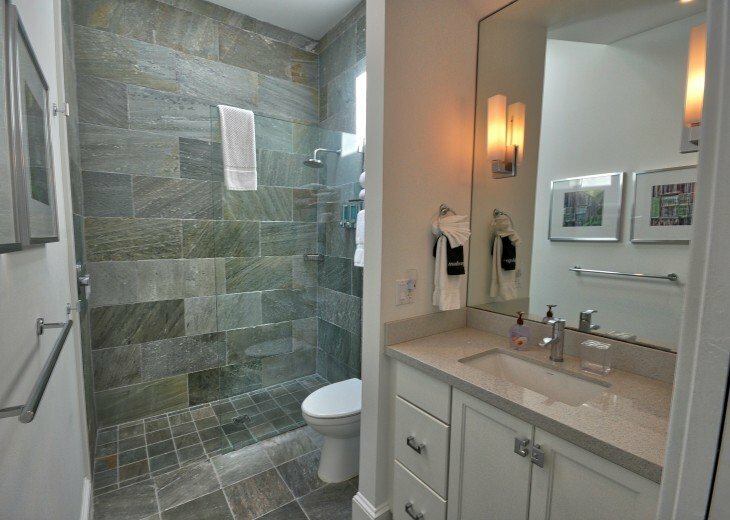 Thoughtful details are luxuriously appointed to appeal to the traveler looking for privacy, style and elegant design. 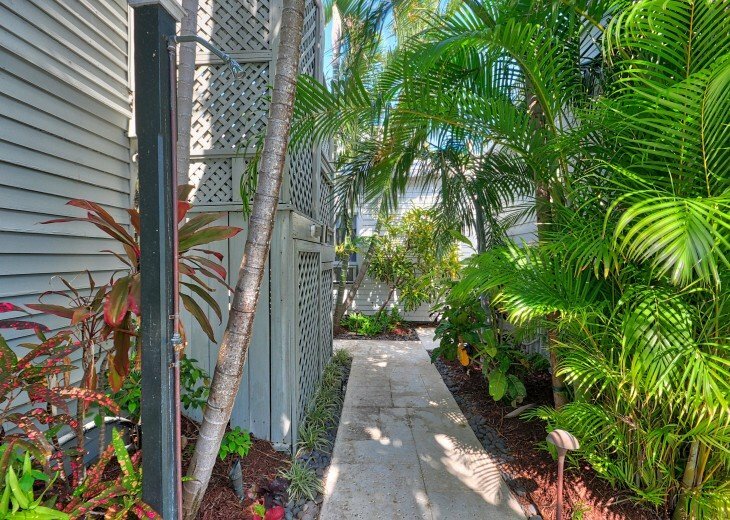 Walk up the brick drive and enter the gate to the palm tree-lined path that leads to the tropical courtyard and pool. 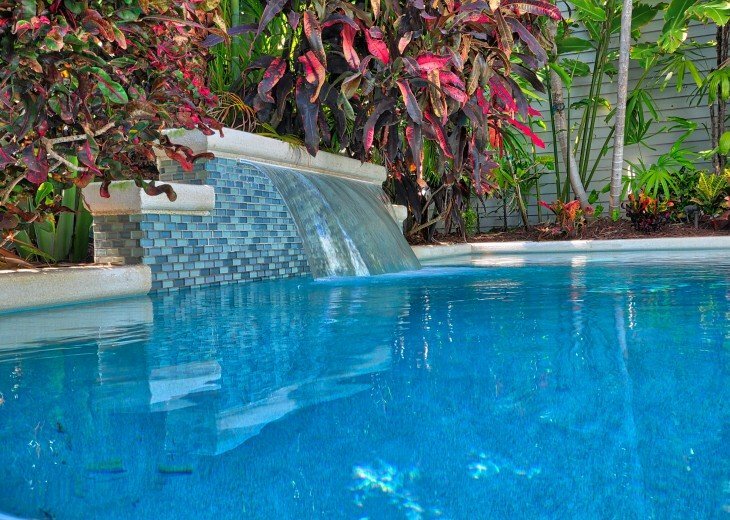 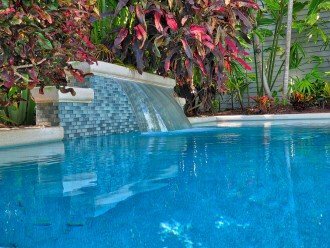 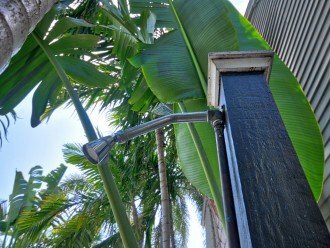 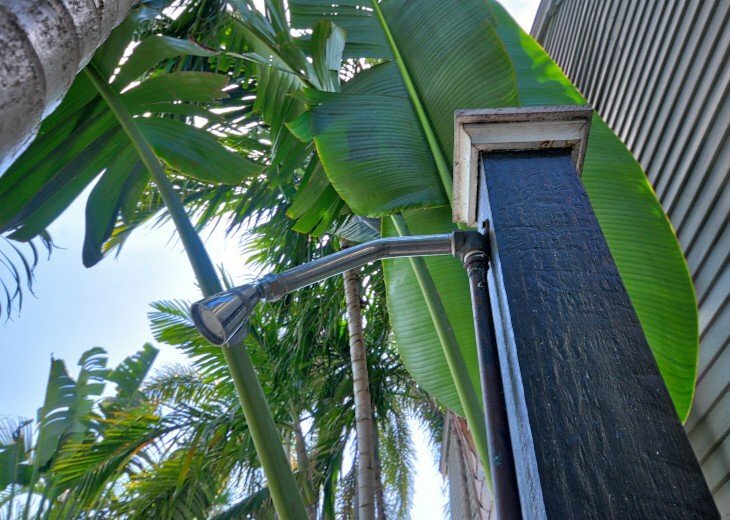 The pool's waterfall will help you forget you are just steps from the bustle of Duval Street... in fact you may discover you never want to leave! Enter the home through the fold-away doors that open completely and transform the living area into an indoor/outdoor oasis. 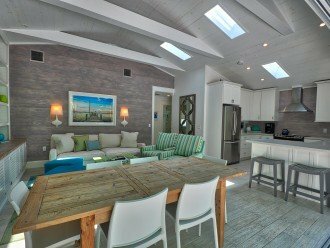 The open floor plan of the living, dining and kitchen is beautifully designed and appointed with classic details. 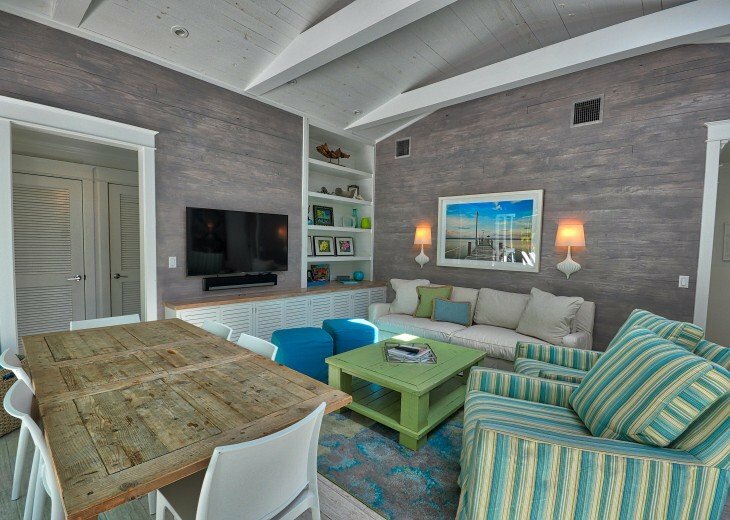 Set against a backdrop of elegant, gray-washed wood walls with just the right pops of color, the space sets a totally relaxing mood. 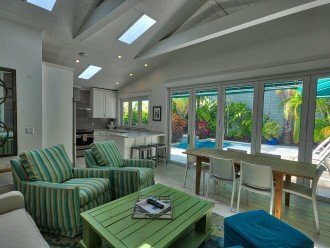 A sparkling white kitchen is refreshing to the eye and perfectly functional, with a pass-through window to the outdoor grill area. Each bedroom is decorated in soothing turquoise blues, crisp whites, dove grays and calming greens. 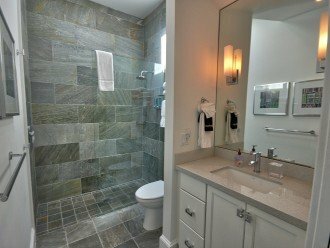 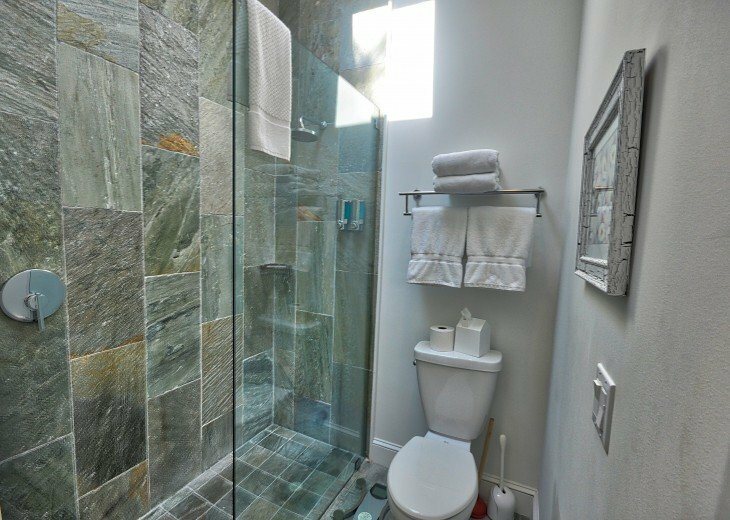 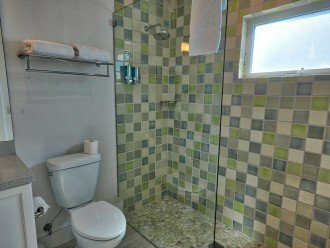 Two of the bathrooms are en suite and all of the baths are dramatically tiled with walk-in showers and a spa-like feel. 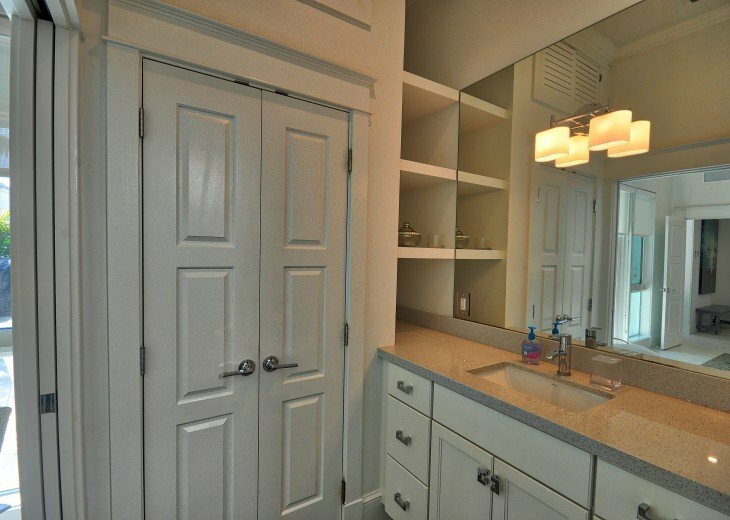 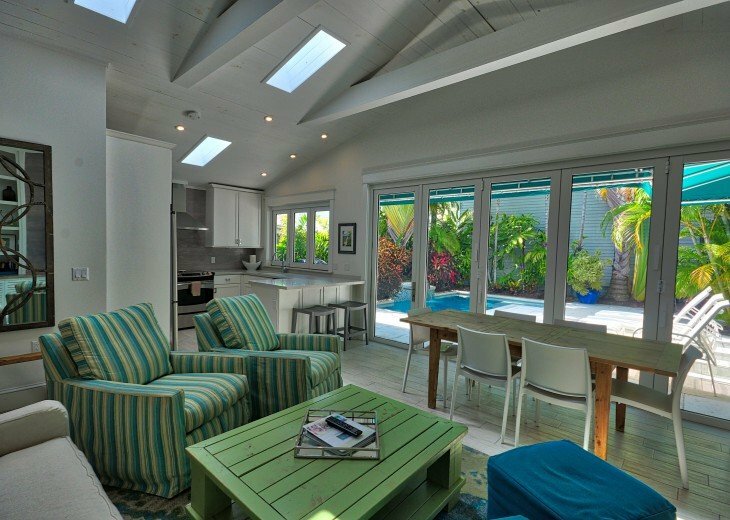 Skylights throughout the home let in the natural Florida sunshine. 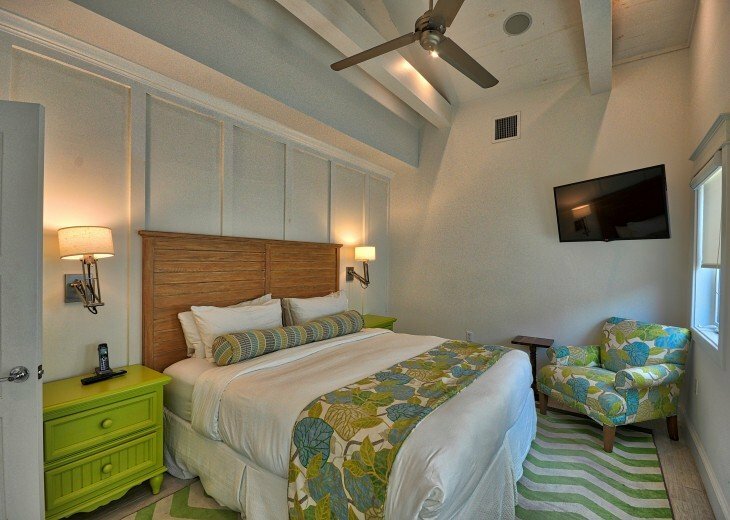 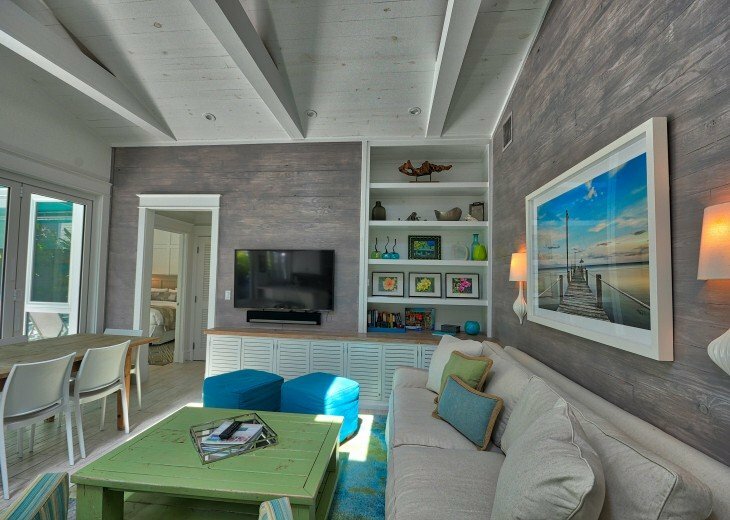 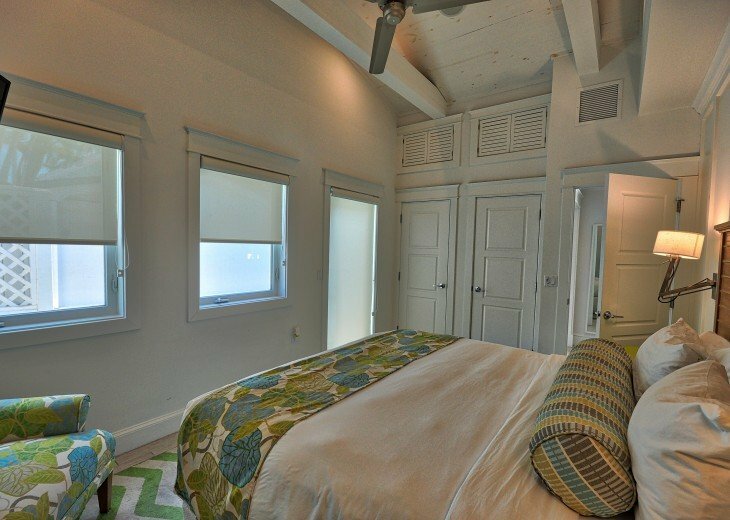 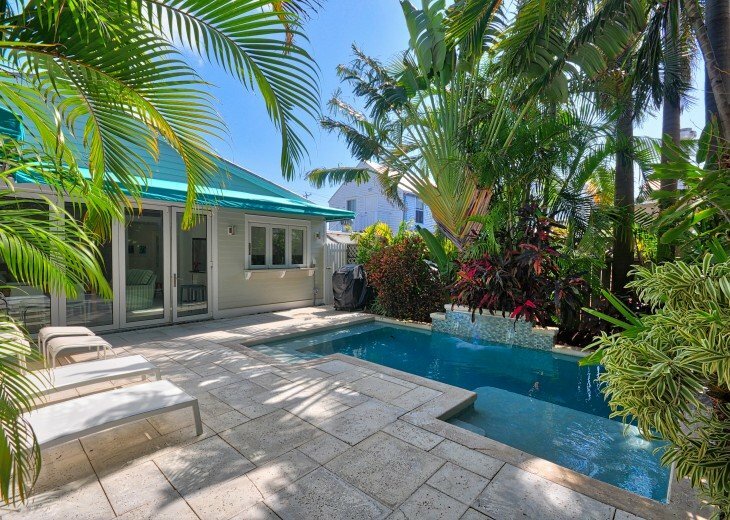 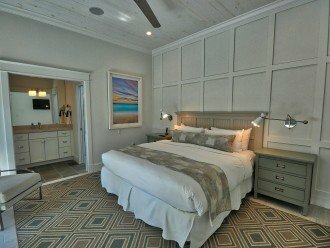 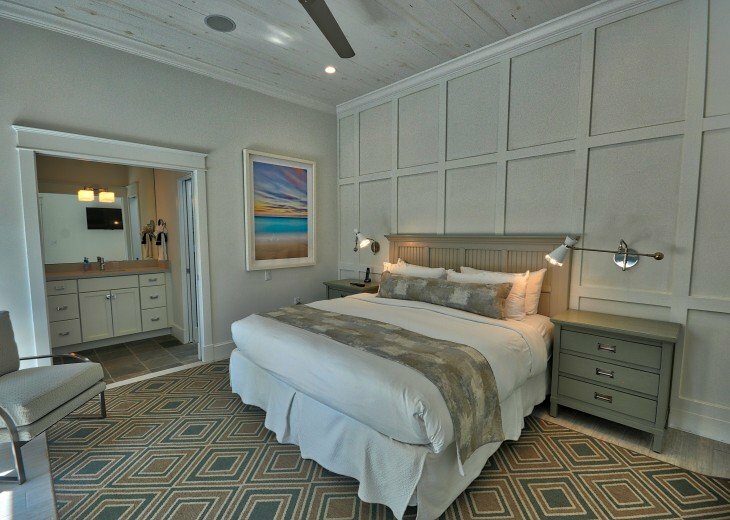 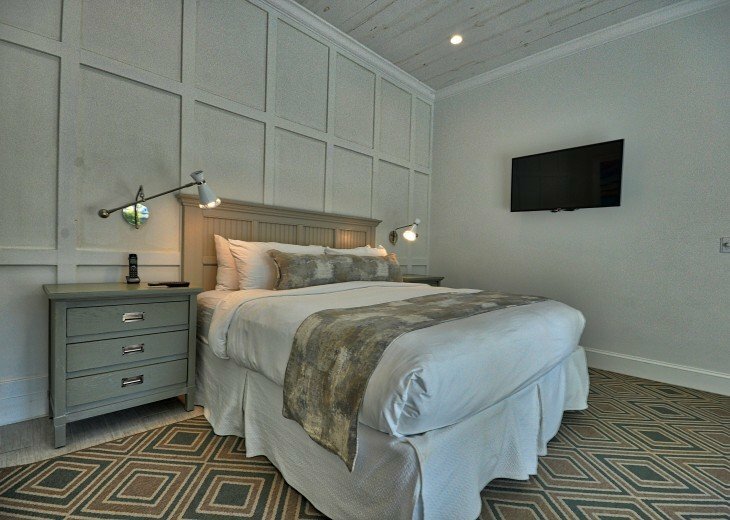 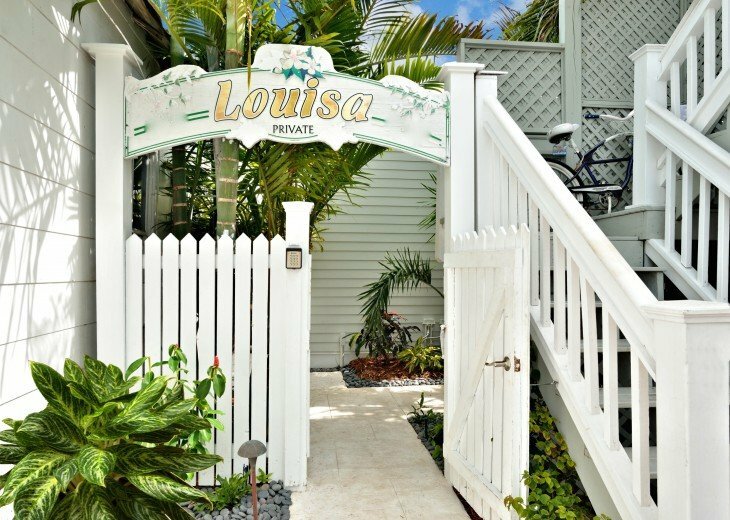 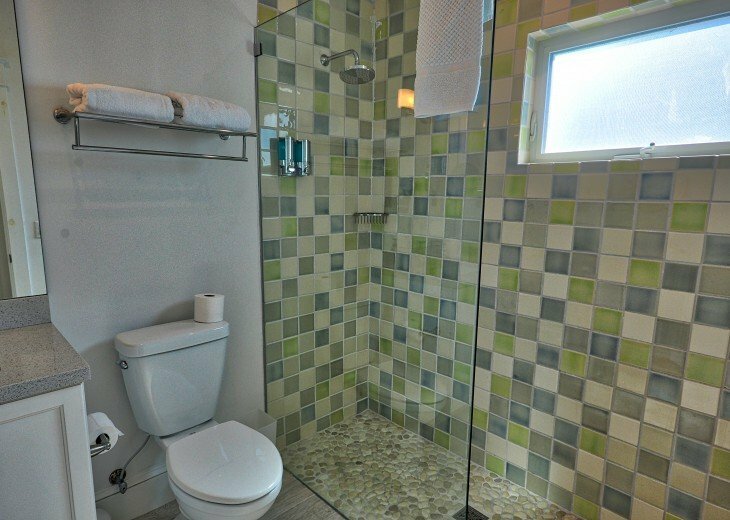 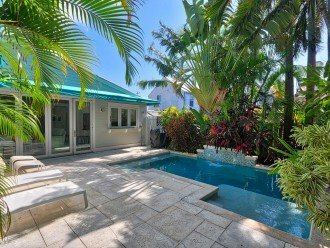 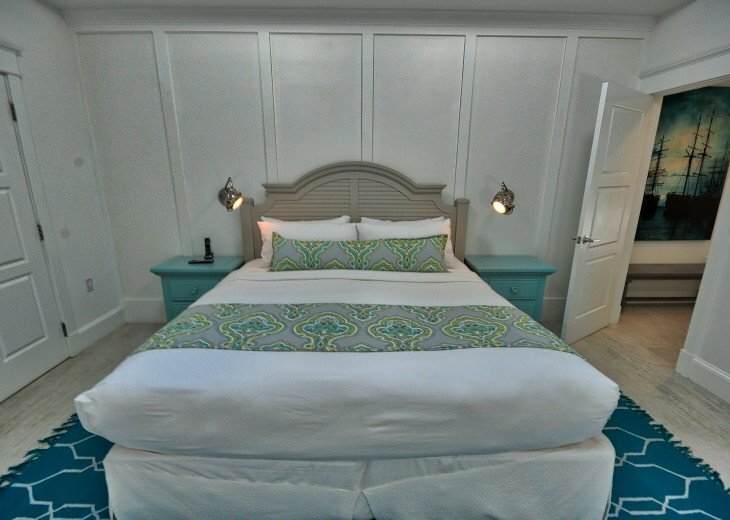 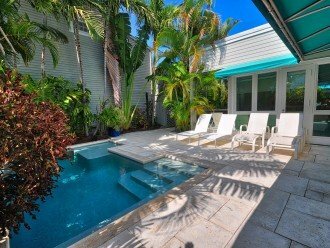 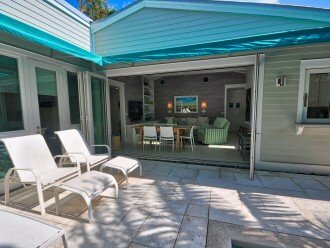 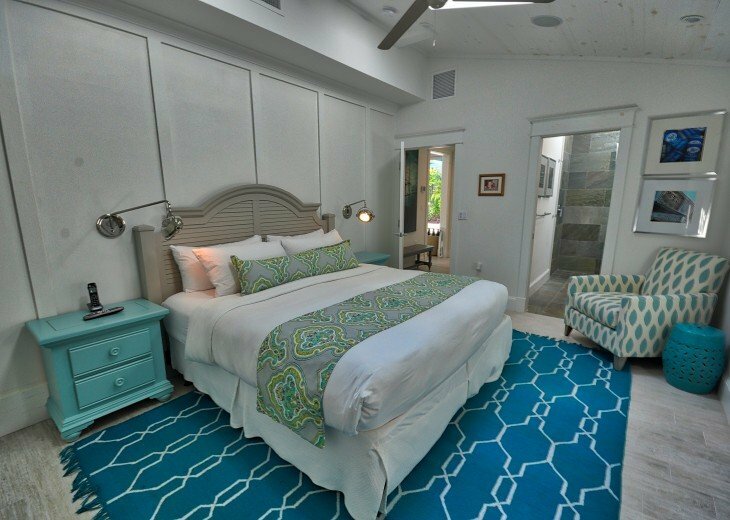 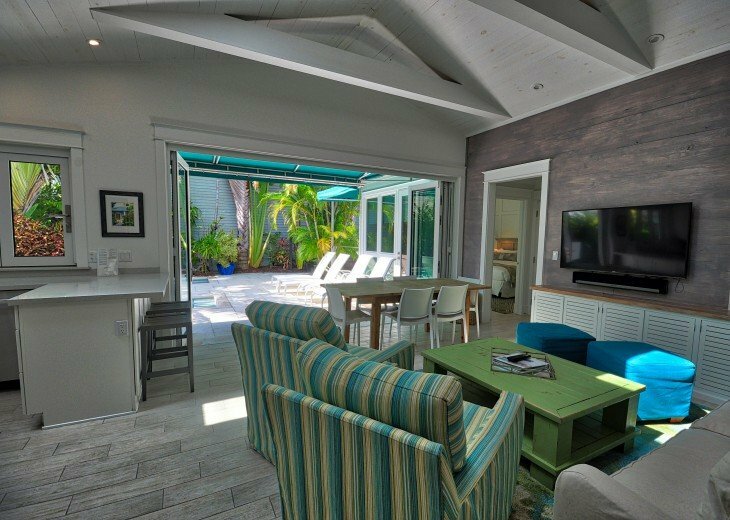 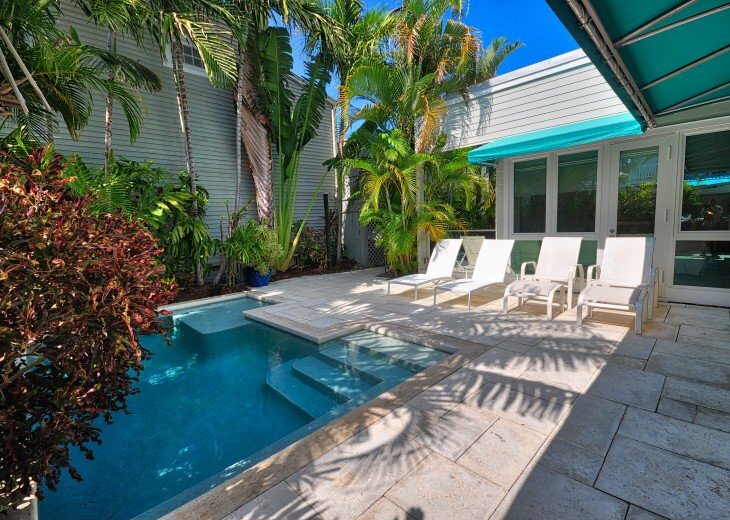 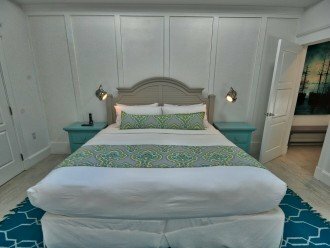 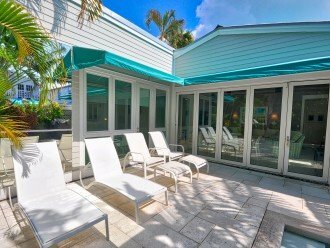 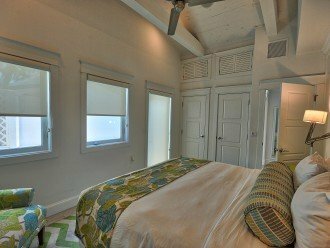 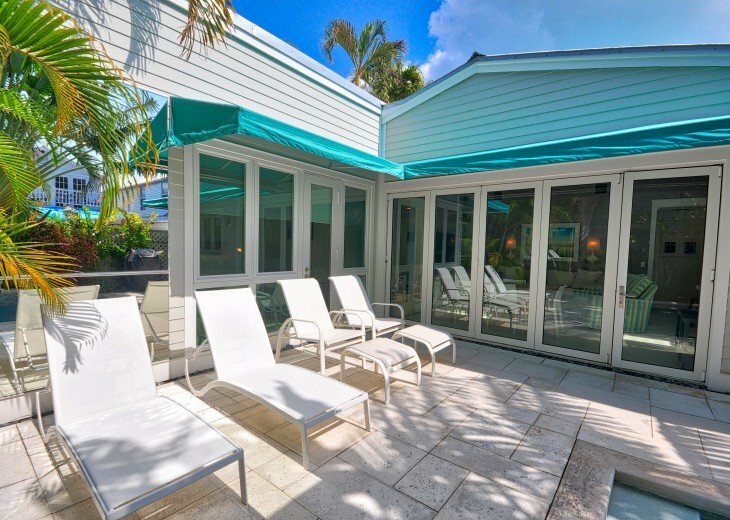 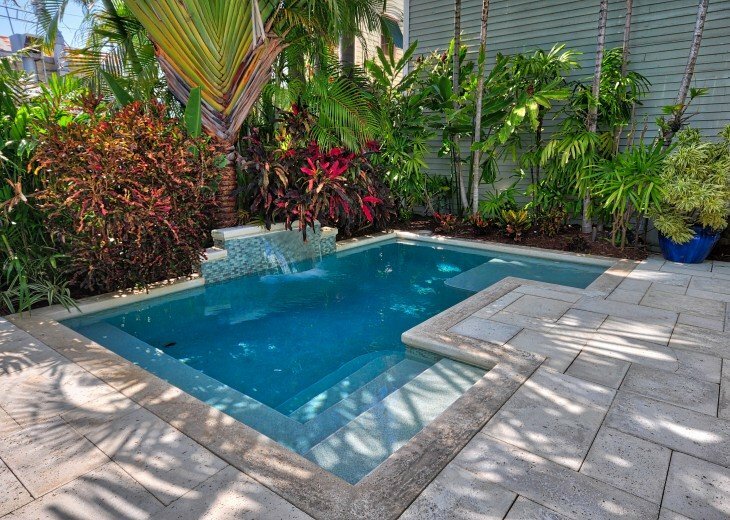 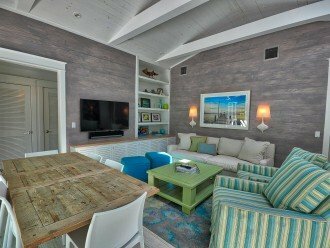 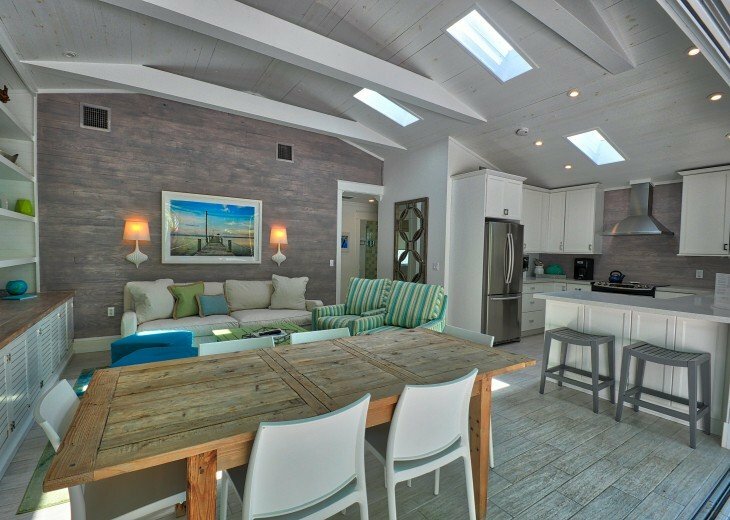 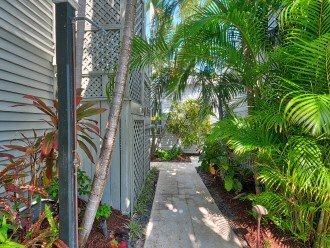 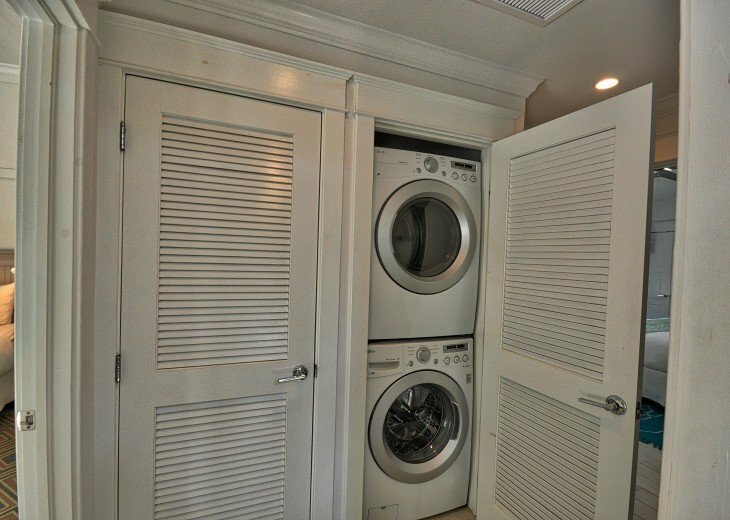 Let Louisa's Hideaway become your vacation oasis in Key West!